Love this! Came quickly, very good quality, and nice amount of storage space. Only thing I have a slight issue with is that the top doesn't cover the tan colored material that lines the inside storage area - you can see a little of it peeking out from the sides around the top at different angles. I found the colors to be true to my computer screen. 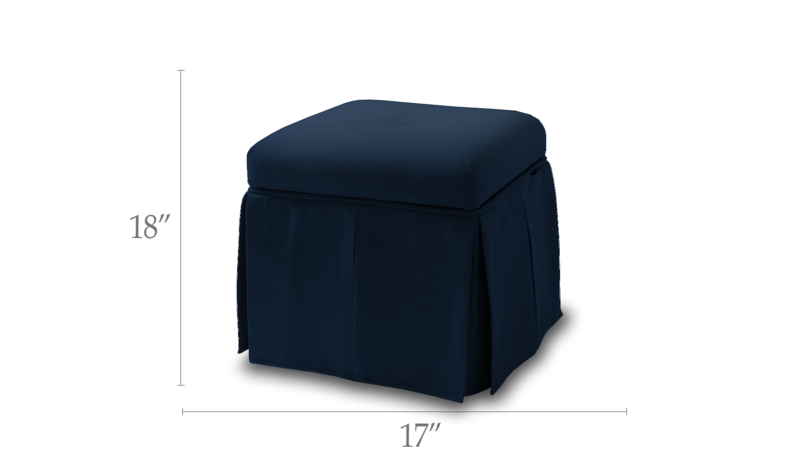 I was looking for a small storage bench for my closet and couldn't find anything that would work so I purchased 2 of these stools and its perfect! Almost better than a bench because I can easily move one or the other around with no problem. Very satisfied! No assembly Good packaging.